In June 2007 the V&A celebrated the 150th anniversary of its opening at the South Kensington site. 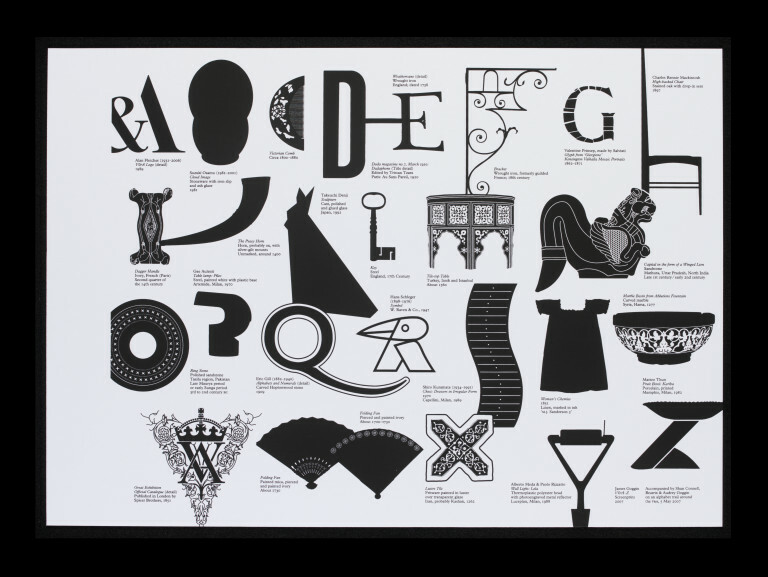 To mark the occasion, 150 leading artists, designers, architects and photographers were invited to contribute a page to an anniversary album, expressing what they found most inspiring about the V&A and its collections. The creative brief stated that the page could be in the form of a drawing, design, sketch, graphic, computer-generated image or a simple message in words. Album page with black and white printed representations of objects in the V&A. In June 2007 the V&A celebrated the 150th anniversary of its opening at the South Kensington site. To mark the occasion, 150 leading designers, architects, photographers, fashion designers and artists were invited to contribute a page to an anniversary album. 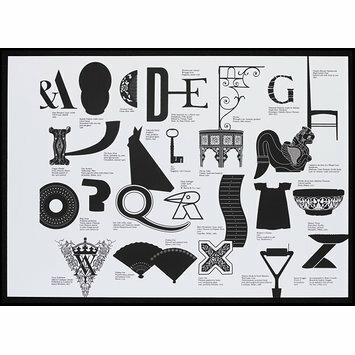 Each page conveys in words and images what they find most inspiring about the V&A and its collections. This page is one of 60 in volume two of three albums. Page of V&A 150th anniversary album. 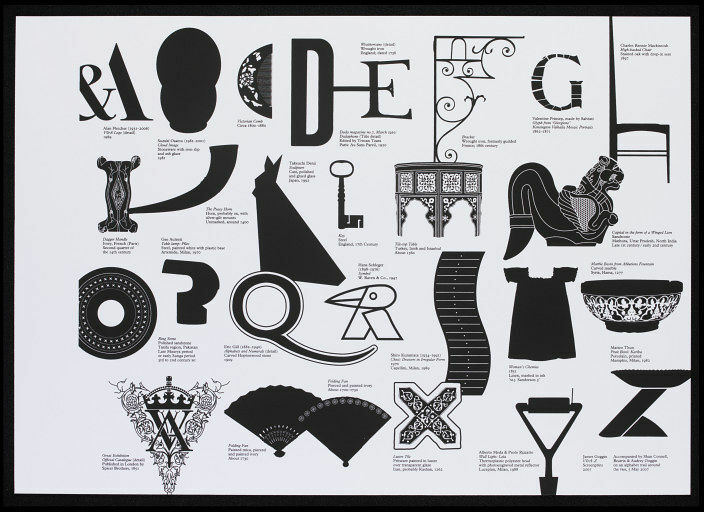 James Goggin, page of silhouettes representing museum objects, 2007.